Breakfasts built by you the way you like it! 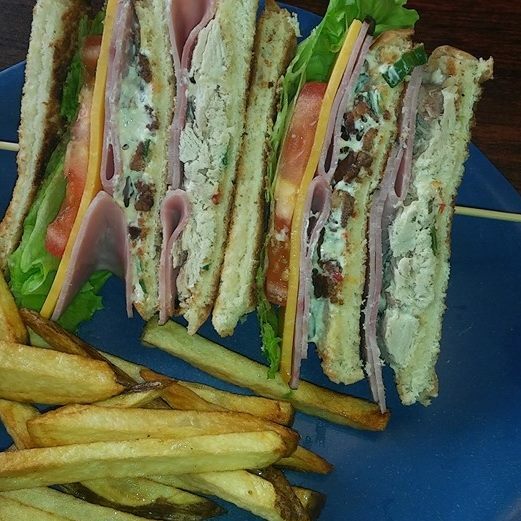 We create delicious, fresh to order food, NOT fast food. Please be aware that at times this may take a bit of extra time when we get busy. Load any hash browns for 2.99, sub any side for scones or cinnamon roll for 1.99. Served with 3 of these choices - 2 eggs, toast, grits, tomato, pancake, french toast, biscuit & gravy or hash browns. Served in 5 or 10 ounce steak. Served in 6 or 12 ounce cut. Served in 6 or 12 ounce steaks. Served in 8 or 16 ounce steaks. Tips wrapped in bacon, served with hash browns, 2 eggs and toast. 2 bacon, 2 sausage, ham wedge, served with hash browns, 2 eggs and toast. Hash topped with diced onion, peppers, mushrooms, tomato, bacon, sausage, ham & cheddar. Served with 2 eggs and toast. Hash topped with diced onion, peppers, jalapenos, mushrooms, tomato, bacon, sausage, ham & pepper jack. Served with 2 eggs and toast. 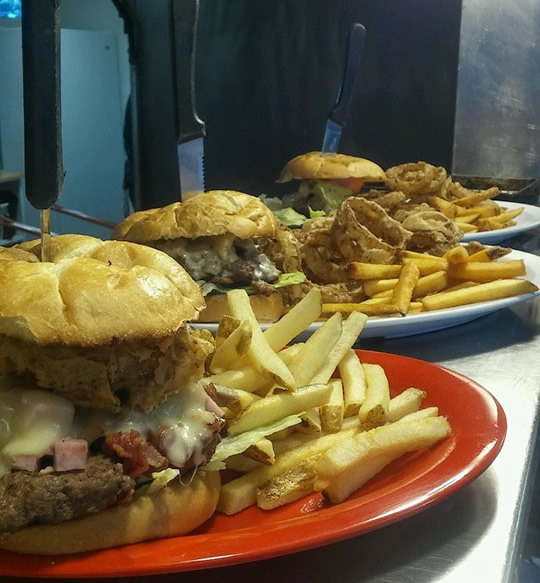 2 biscuits topped with cheese hash, 2 eggs and your choice of country fried steak, bacon or sausage all smothered in our green chili country gravy or country gravy. 2 biscuits halved and topped with our green chili country or country gravy, topped with a mix of scrambled eggs, bacon, onions, peppers and cheddar. Served with hash browns. Country style potatoes, topped with onions, peppers, slow roasted corned beef, 2 eggs and cheddar cheese. Flour tortillas stuffed with hash browns, scrambled egg, onion, peppers, bacon, sausage, ham and cheddar cheese. 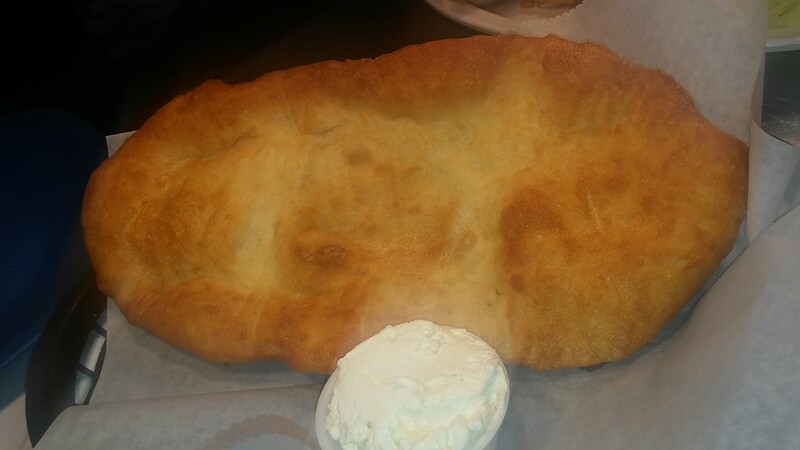 Topped with your choice of green chili country gravy, country gravy or salsa & sour cream. 6 eggs, ham, bacon, sausage, onions, peppers, mushrooms, tomato and cheddar cheese. Served with hash browns and toast. 3 eggs stuffed with ham, bacon, sausage, onion, pepper, hash browns and cheddar cheese, topped with green chili gravy or country gravy. Served with toast. Egg, pulled pork, onion, peppers, tomato and cheddar cheese. Served with hash browns and toast. Hash topped with cheese, bacon or sausage, 2 eggs served with toast. Add gravy and make it a crown. Our chili verde is made with fresh ingredients and slow roasted shredded pork. Fried tortilla topped with 2 eggs, chili verde, cheddar & tomato. With hash browns. Tortillas with chili verde, hash browns, eggs, onions, peppers, topped with chili verde, tomato and cheddar cheese. 3 eggs loaded with cheddar, onions, peppers, chili verde & topped with cheddar and tomato. Bowl served with 2 flour tortillas. Served with 1 flour tortilla. Fried corn tortillas topped with hash browns, egg, onion, peppers, chili verde and cheddar, topped with tomato. 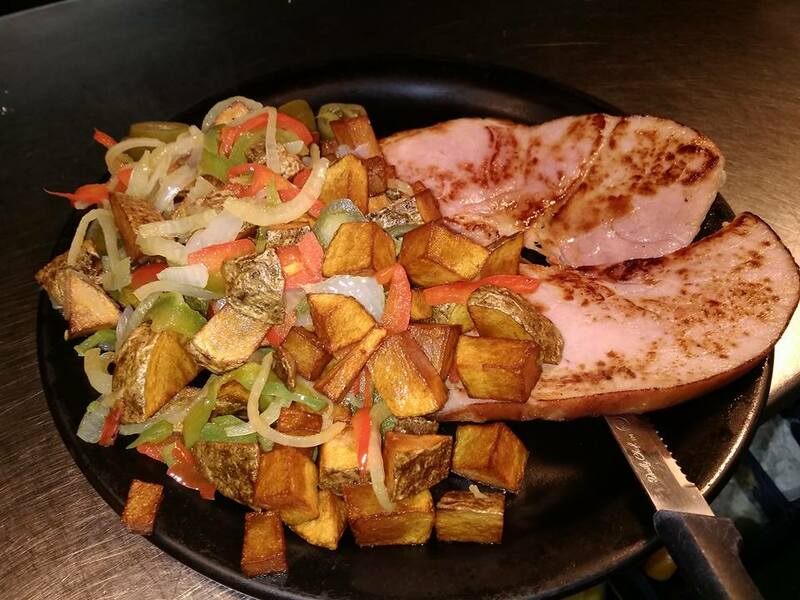 Our delicious grill platters are served single or with 1 side or 2 sides of either bacon OR sausage, 2 eggs, toast, french toast, tomato, pancake, grits, oatmeal, hash browns or waffle. Add your choice of blueberries, strawberries, peaches, bananas, cranberries or raisins to top off your favorite. Plus add sweet cream! 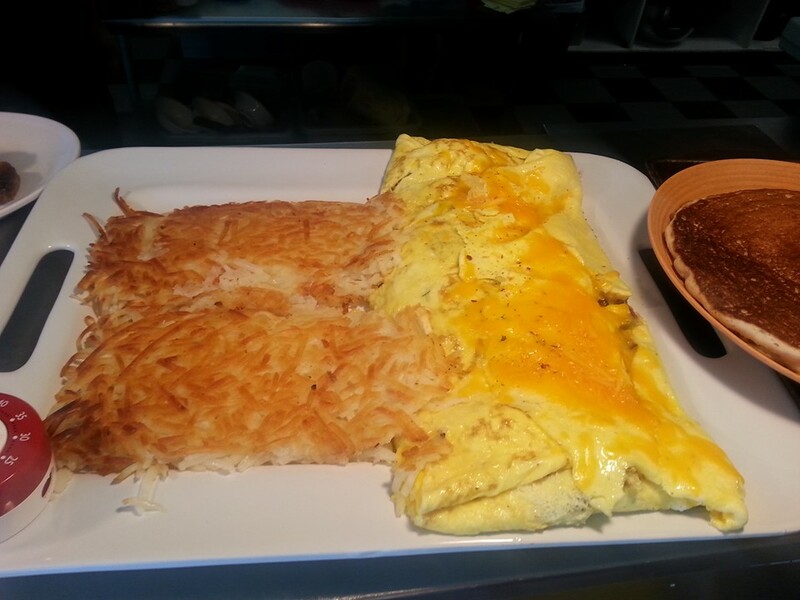 Build your own 3 egg omelet starting with one item at 7.99 and 1.00 for each additional item. Served with 2 choices of toast, grits, tomato, oatmeal, pancake, waffle, french toast, hash browns or biscuit & gravy.